Hello and welcome back on the noobs guide. Where you can find some ultimate stuff and tips! 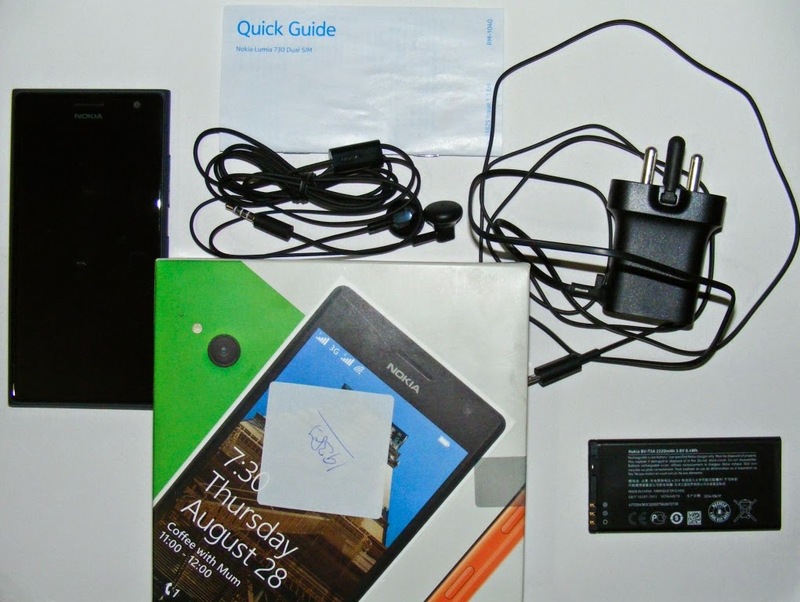 Today we are reviewing the Nokia Lumia 730 dual SIM phone. I’m able to do this review because of my dad as he recently bought this device on 12 Oct i.e Sunday from a jumbo electronic store where they were giving a 10% cash back on HDFC debit/credit cards. So he bought it in Rs 13,500(approx $232). 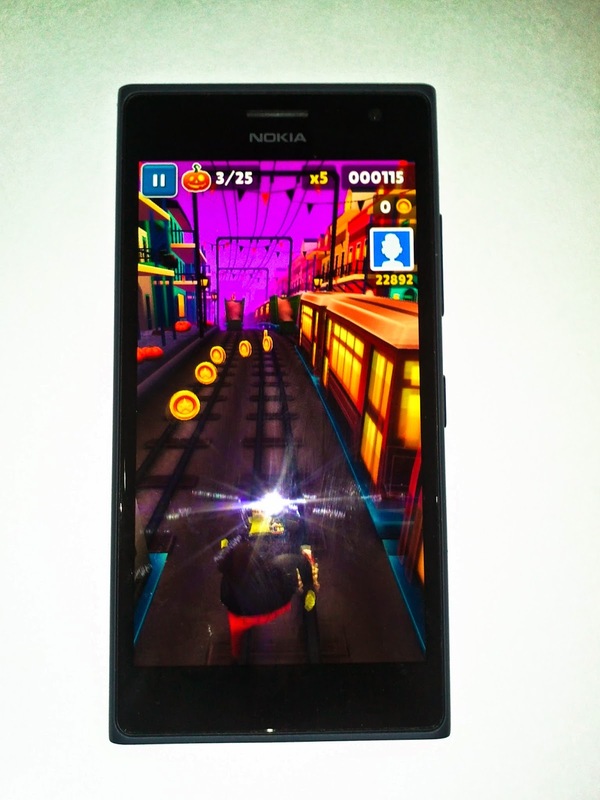 To tell you the truth Nokia has done a serious cost cutting to keep the price as low as possible. I don’t think Nokia could have done it better than this or say shouldn’t have done this. Still they have managed to deliver the product nicely what I think lacked was a decent pair of earphones, data cable and the most important a user guide (which I think is a must for new users). Due to which the consequences are quite obvious. The earphones supplied can only be used for handsfree calling. No data cable means that the customer needs to buy a discrete data cable for file transfer and the new users will obviously find it difficult to operate the device w/o the user guide as I was also a new user but I have friends who have a Lumia phone so I was a bit familiar but still struggled with it. And my dad who never used a windows phone was clueless [I insisted my dad to buy this device for his office work]. While there is no dedicated camera button the functionality to revoke the camera app from the lock screen is vanished too!!! Due to the lack of feather buttons now it takes a part of the screen for the controls such as back, search and windows start button. Many apps use fullscreen view of the device in which many times the soft keys takes some part of the screen, which actually overlaps over the app. Although there is a feature to slide-up to hide or show the controls but why to have it in the first place?? Nokia I think if you could have charged 1000 bucks extra could have managed to supply all these in the box. This device comes with a lot of packed features as it has great specifications, you get the latest Microsoft windows phone 8.1 with denim update installed on it, which gives some new application such as selfie app, this dedicated app enhances the front cam value of the device. It is a dual SIM device which lets the user to use two SIM card simultaneously. It might be of great help for the people who want to keep there personal and professional life separately. It has corning gorilla glass 3 which protects the phone from possible scratches and one might not need any scratch guard to safeguard the screen. Apart from that it is a ClearBlack display which saves enough battery on your device. With the introduction of the new devices lot new accessories are going to be launched in the market by Nokia in the coming days, one of them is Nokia HD-10 which lets you share the screen of your Lumia device with an HDMI enabled TV you can share it with just a tap of the NFC tag supplied. The storage capacity has been kept in mind. The device comes with a 8GB internal storage and if you have more hunger for memory storage increase it with a memory card up to 128 GB. The chipset in this device we are talking is a Qualcomm Snapdragon 400, CPU is a quad core 1.2GHz cortex A-7 processor and GPU is the popular one Adreno 305. Overall the phone is feature packed device still the overall weight of the phone is just 130 grams which means it is very light in your pocket. Overall talking about the performance of the device there were no heating or over heating issues, even when I’m writing this I’m using the net from the device with the help of Internet sharing, and there is no sign of heating till now. Where as if I had to run hotspot on my android device I had to keep it in refrigerator [ :p ]. I loved it in this aspect. The 316 ppi pixel density produces sharp and clear graphics on the display. Well there is no performance issue I have to point out with the device. People say “you get what you pay for” I will say it is more than that. One more thing the phone is very sturdy the device fell from my dad’s pocket at a height of around 2-3 feet and not a single scratch was there. The camera quality of the device is undoubtedly best in class, the response times are awesome, focal length of the device is awesome, when it comes to taking macro shots this device can take images from a distance of 2 Inchs. And as we all know Lumia devices are well known for there low light imaging. It again retains its position! This device can record videos in 1080p resolution which gives full HD view of the videos and sharp depth; the colors look vibrant like never before. This video was shot in a mall and as you can see the colors are popping and the details are quite good[ i would recommend viewing it in 1080p mode by changing the settings in YouTube]. The standby of this device is 25 days and the talk time is 22h and 17h on 2G and 3G respectively. Let me give you an idea around 9 in the morning the battery was around 95% and by 7 in the evening it got reduced to 82% in just 9 calls. So the standby is really good, As compared to android devices. After all we are buying a mobile phone if its very purpose is not satisfied then it only becomes a PMP device!!! To tell you the truth the voice quality of the calls are impressive the speaker is very clear and loud in both modes loud speaker and headpiece. Even the mic is clear one can use the mic to record audio logs and it will satisfy ones needs. I think the device is doing pretty well and is highly recommended if you are really tight on budget and looking for a mid-range one but looking for a full packed phone. As it supports dual SIM, external memory card support, good battery backup, smooth and lag free experience with the latest denim update, apart from that the camera works like a charm and take brilliant photos and videos and for the selfie aficionados it is a blessing! People who are interested in buying the phone can check out the following links which will directly take you to the flipkart site. these links may work till the stocks last, but i will try to update them as soon as possible. If you like the review or have any questions regarding any specifications you are always welcome in the comments section, thanks and share this review with your friends and like the Facebook page!